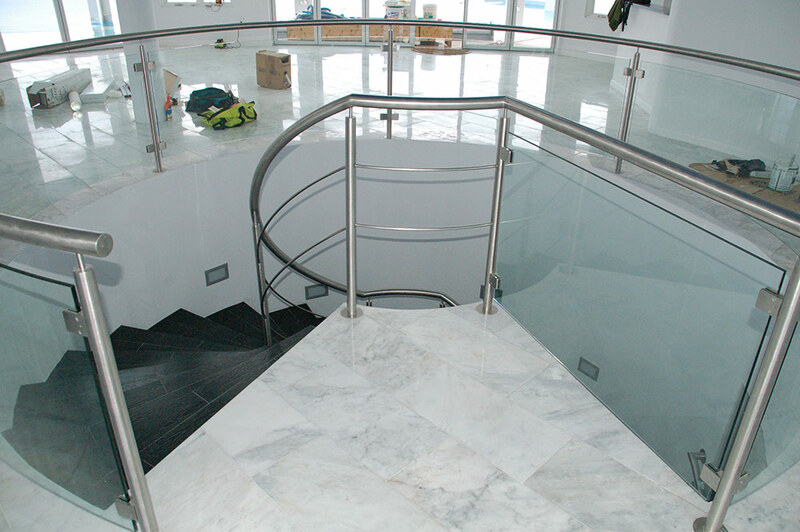 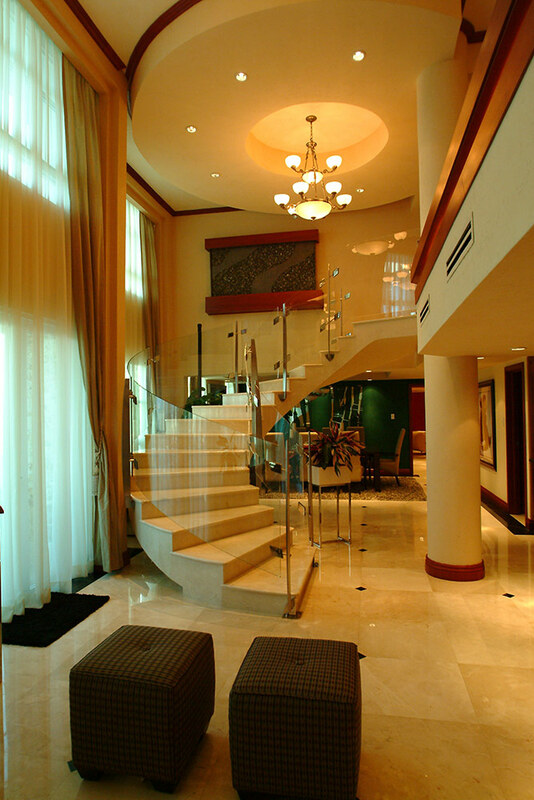 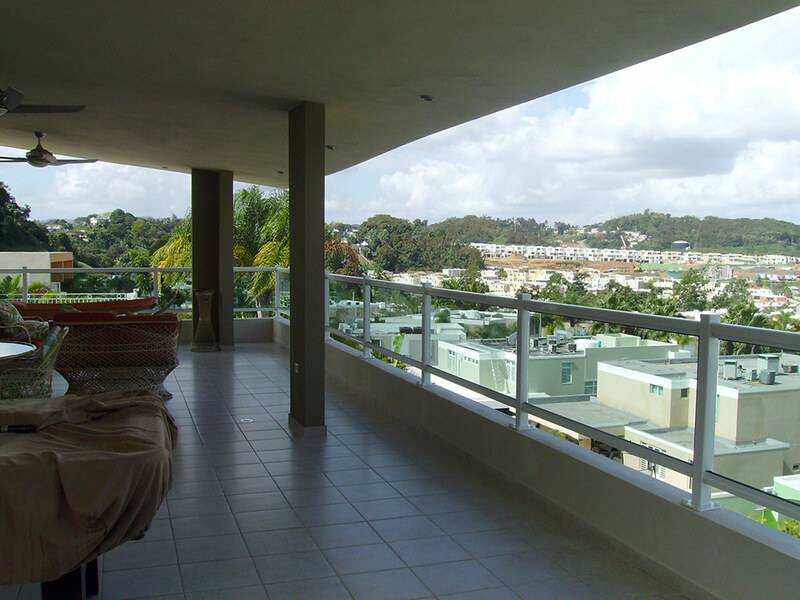 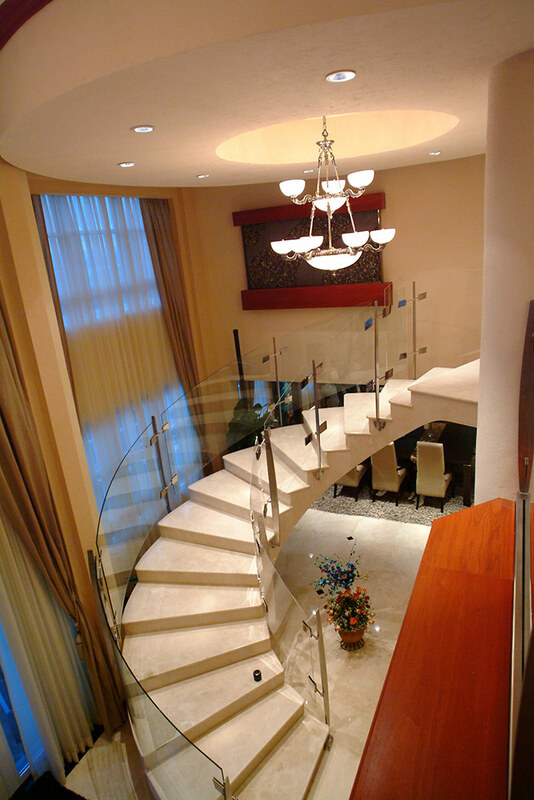 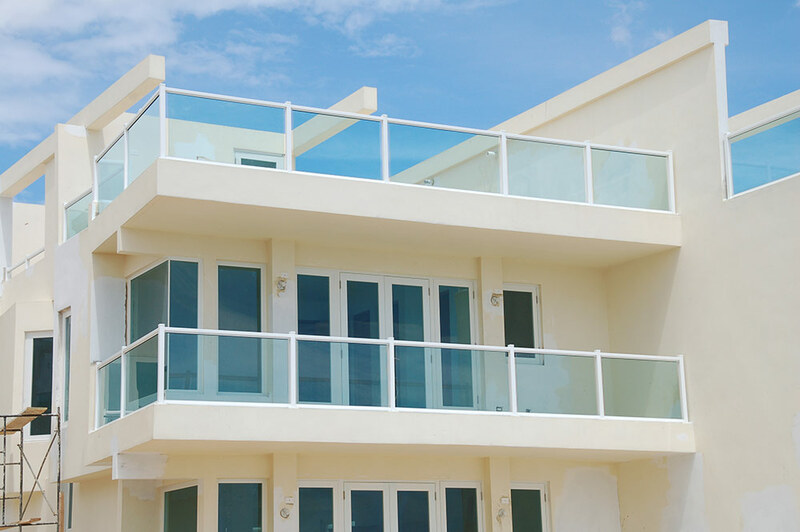 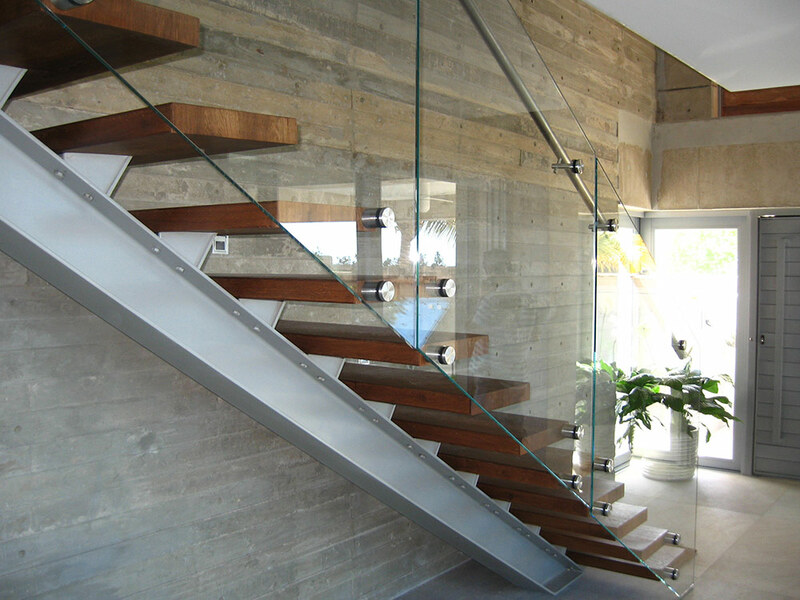 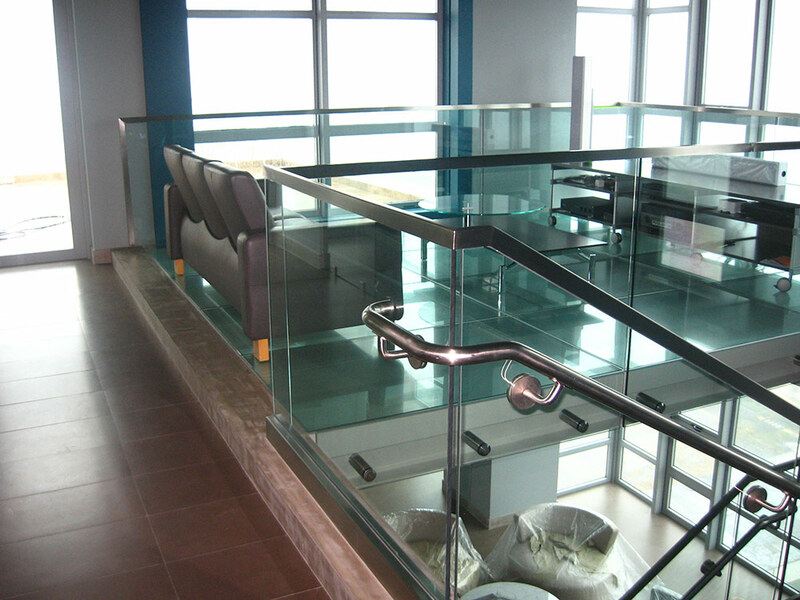 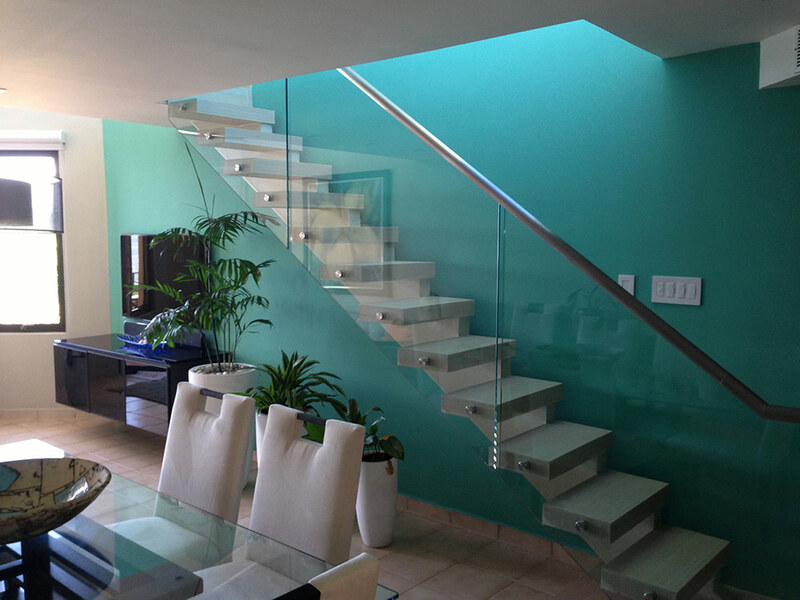 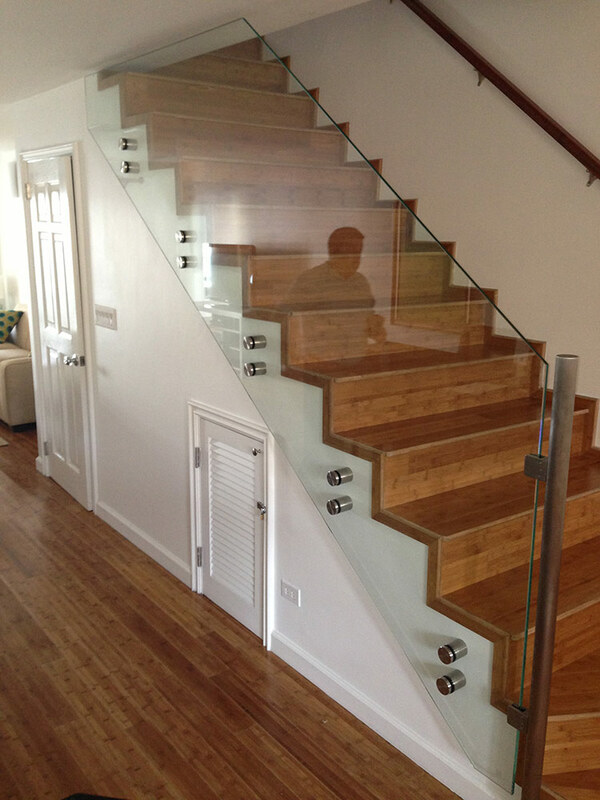 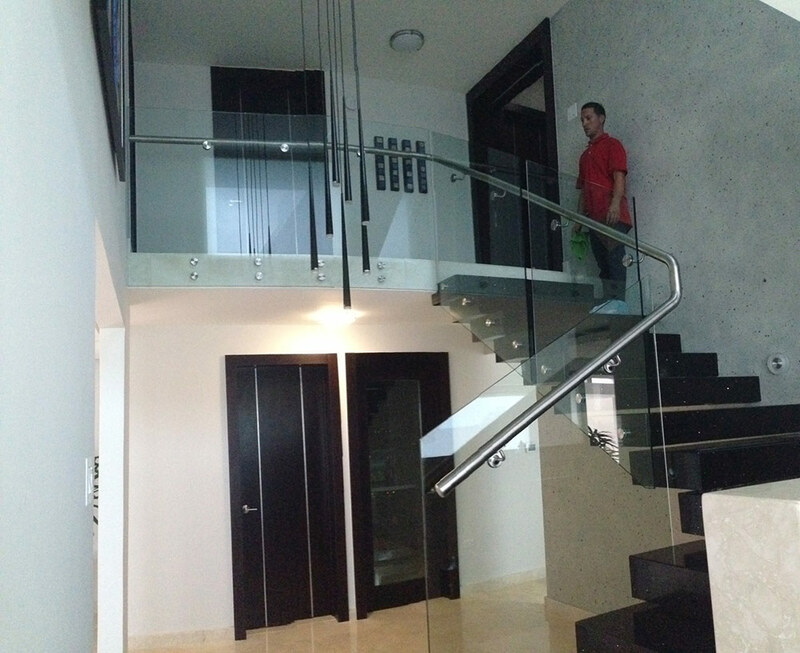 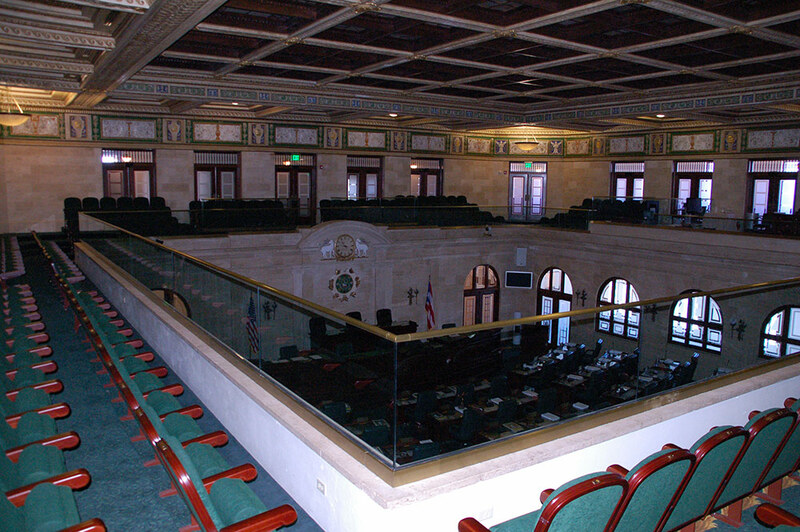 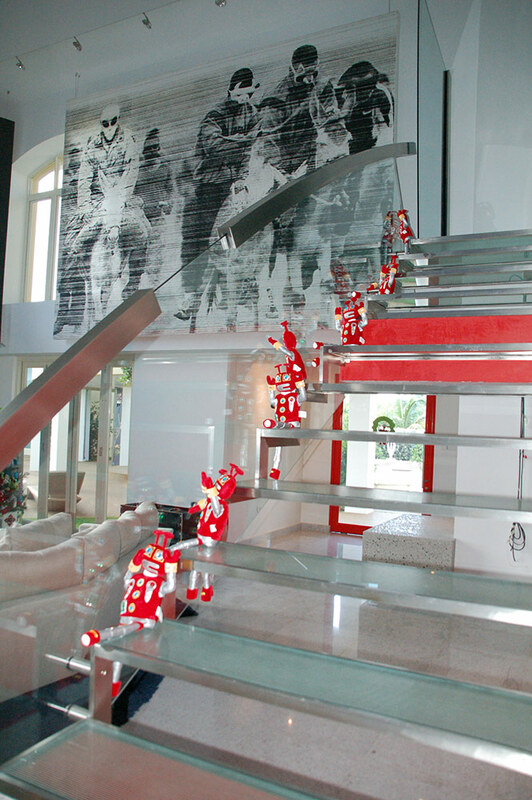 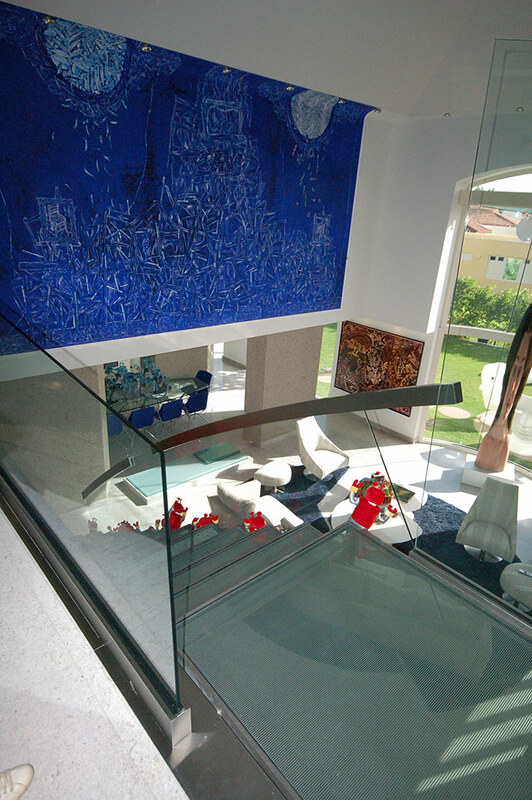 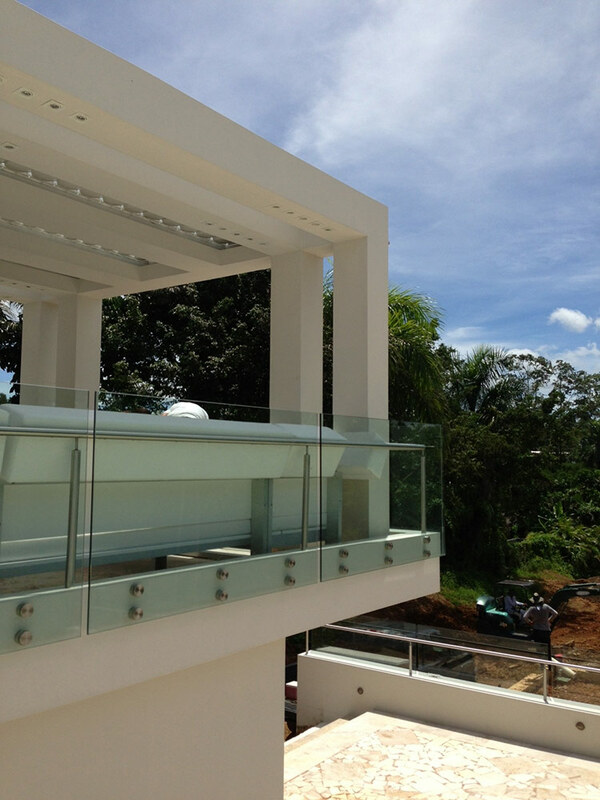 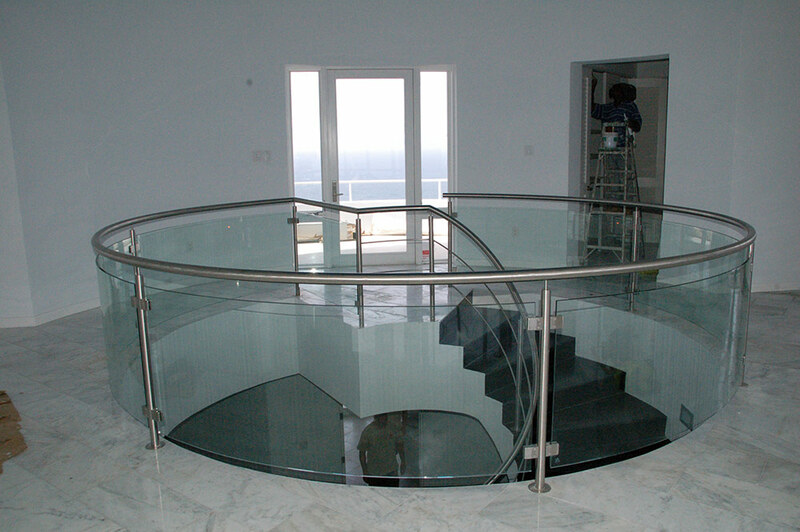 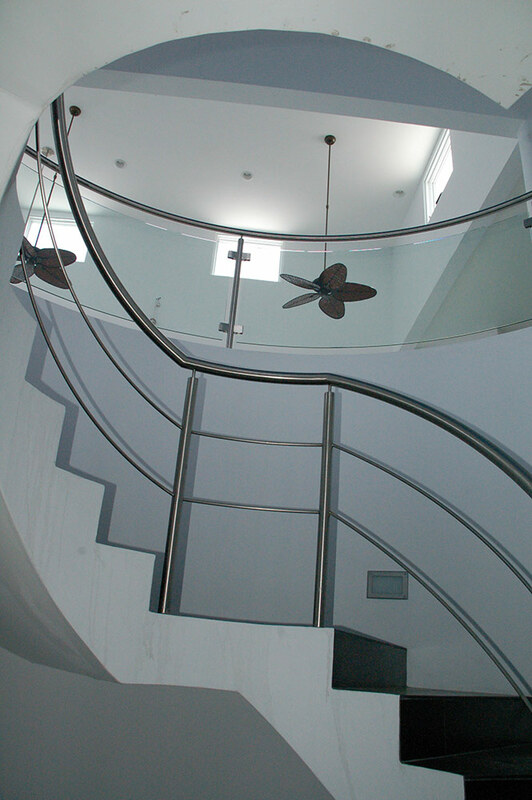 Caribe Glass Consulting specializes in glass railings with stainless steel or aluminum hardware. 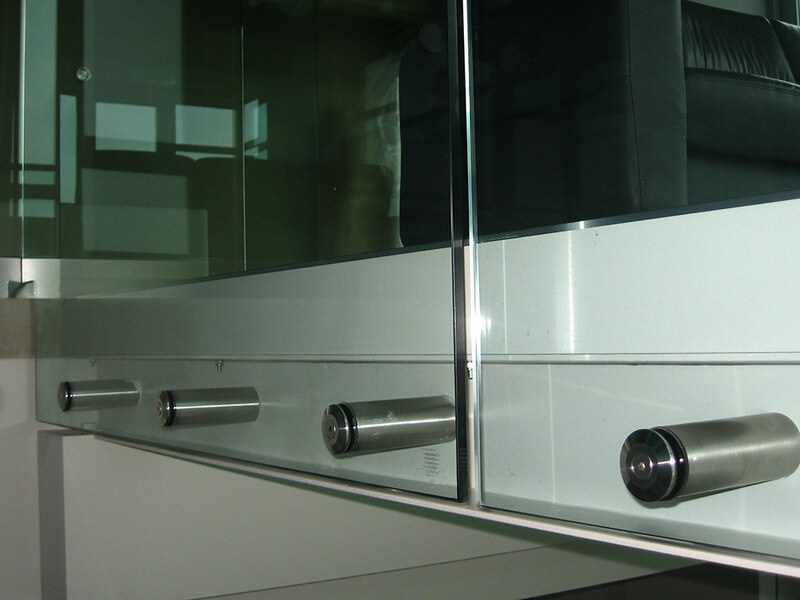 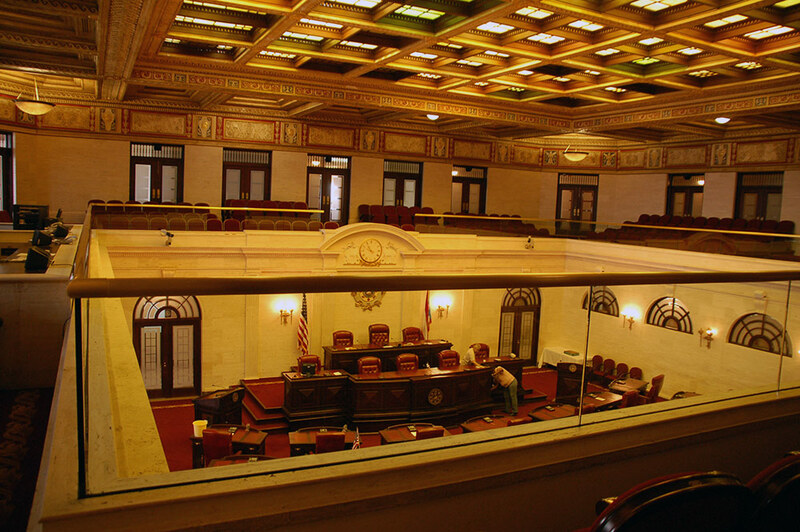 Among the most common designs are standoff systems, post systems and base shoe systems. 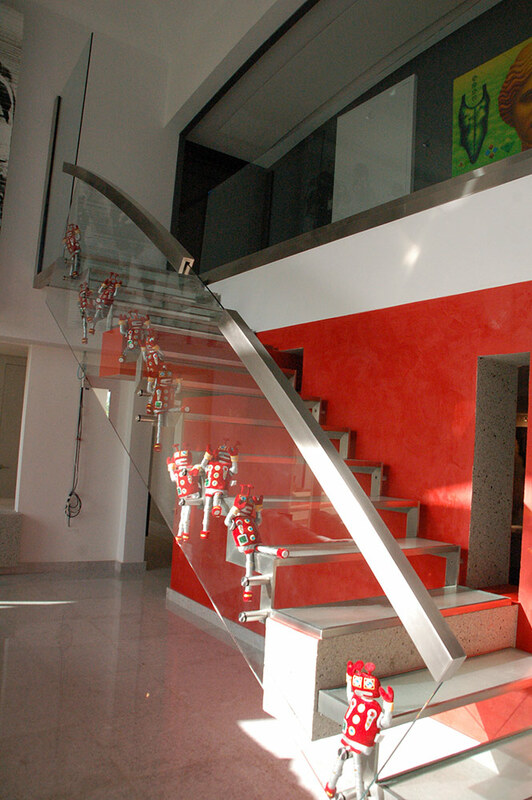 Each one has its particular application. 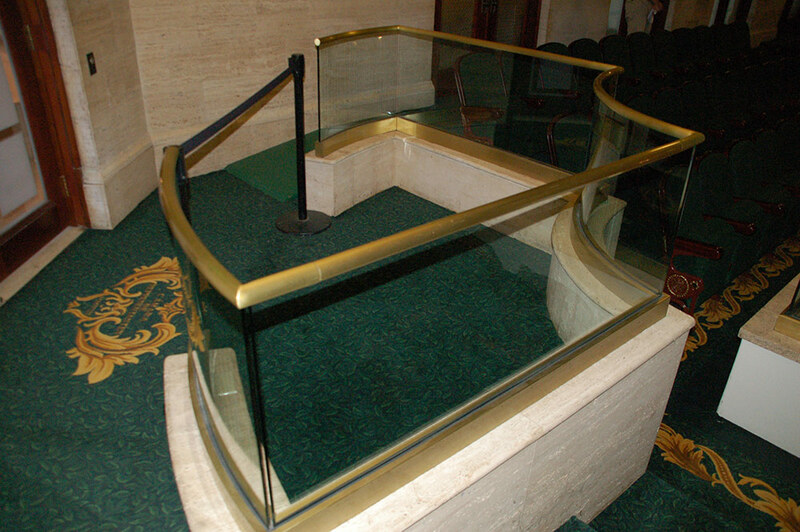 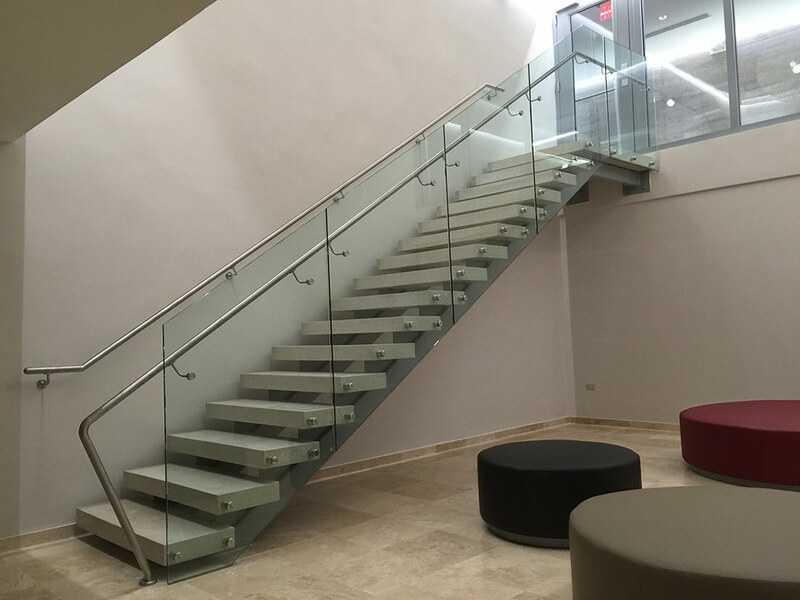 Frameless glass railings (standoff and base shoe) are designed with ½” clear tempered glass which provides the structural strength for this application. 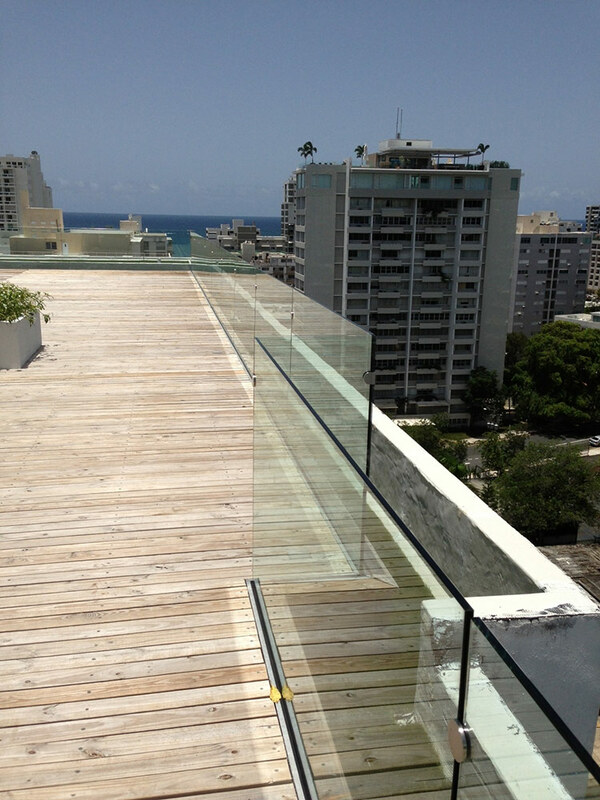 New trends in railing construction also call for ½” thick to 1” thick laminated glass. 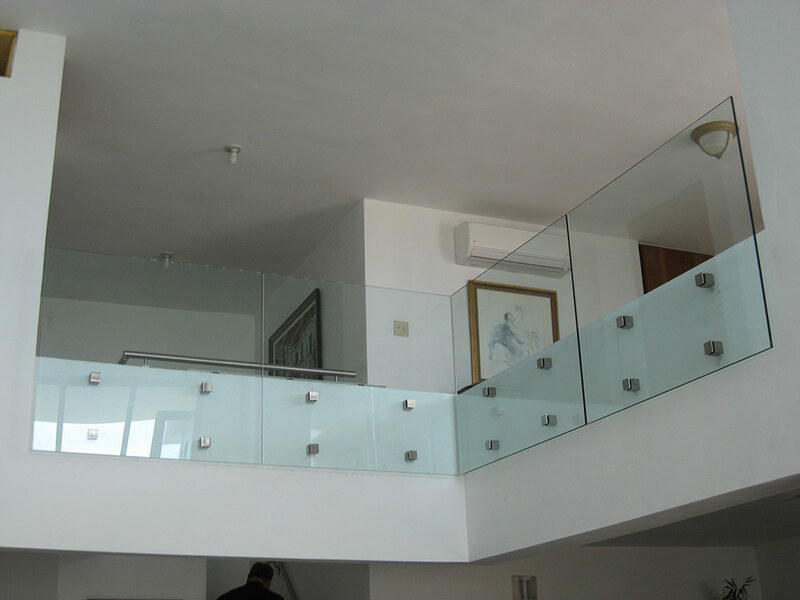 Post railing system and framed railing systems are usually designed with ¼” thick tempered glass and many times tinted glass is used.